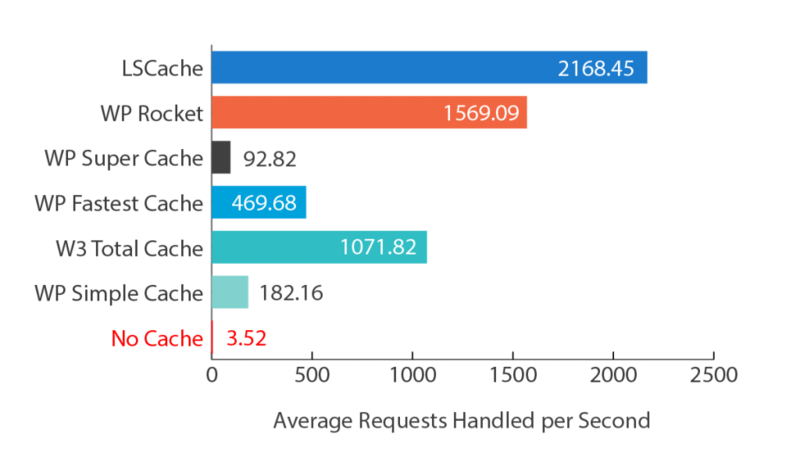 At ExonHost All of our SSD Hosting plans come with LiteSpeed Cache enabled. So that your websites will get all the benefits like superior performance and value. LiteSpeed WordPress Cache plugin is working better than any paid WordPress Cache plugin. You can see the benchmark test screenshot. How to Install LiteSpeed Plugin? Then search for LiteSpeed Cache Plugin in search bar. The WordPress will fetch the plugins with LiteSpeed Plugin. Click on Install Now and then click on Activate button to activate the plugin. 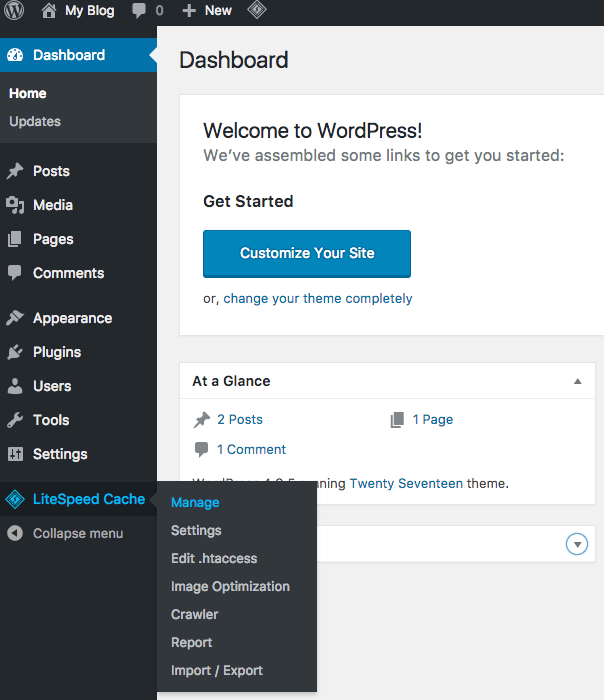 Go back to Dashboard and click on LiteSpeed Cache to manage plugin settings. You will see the litespeed Basic View. Basic View is ideal for those who simply wish to enable the cache and not fiddle with any of the other optimization options. When you install and enable LSCWP, it is in Basic View by default. Advanced View reveals eight more tabs, some with advanced cache settings, some with non-cache-related optimization features. If you will find the presence of these options to be overwhelming, click Basic View and forget all about them. In basic view you will see 4 tabs. General, Cache, Purge and Exclude. 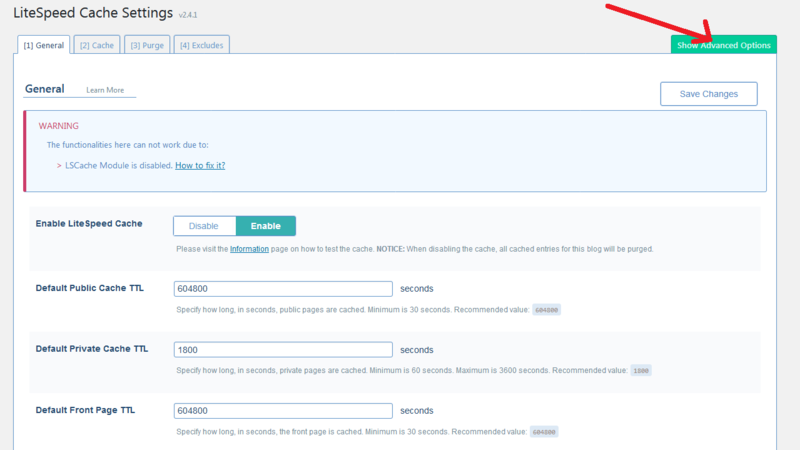 The first option on the General tab turns the caching functionality on and off. This tab allows you to decide what types of content will be cached. By default, everything is enabled. You may have pages that you don’t want cached at all. These options allow you to exclude specific parts of your site from being cached. In advancedview we’ll use only “Optimize, Tuning, Media and Advanced” tabs. Then we’ll see the advanced tabs. From tunning we’ll enable “Remvoe Query Strings” “Remove WordPress Emoji“. You can test other features if the feature don’t break your site. From media Lazy Load is good feature, if you want to load text content before the image loading. It will improve the site loading speed and lowering the initial http request. That’s enough for any site. If you want to optimize more, you can test the Optimize and Tunning features one by one.